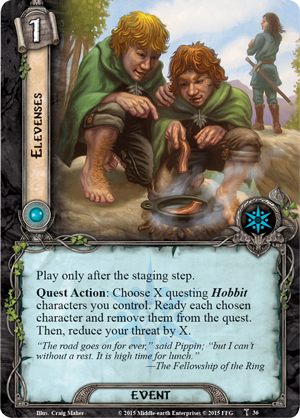 From Frodo's first tentative steps out of the Shire to the ascent up the fiery slopes of Mount Doom, the Saga Expansions for The Lord of the Rings: The Card Game let you experience this epic quest in its entirety. 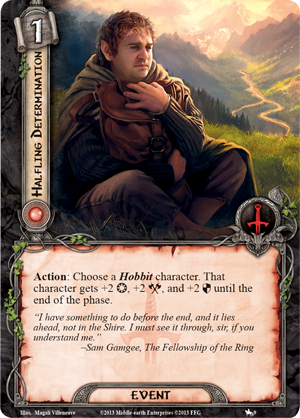 Along the way, you'll meet up with some of the story's most iconic heroes as you recreate some of the most memorable events in the history of Middle-earth. 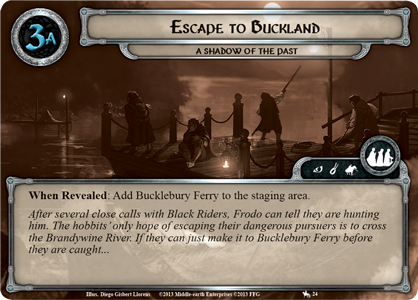 Today, Matt Newman wants to take you back to the very beginning of the saga for a wholly unique designer challenge, one that invites you to follow in Frodo's footsteps more closely than ever before. 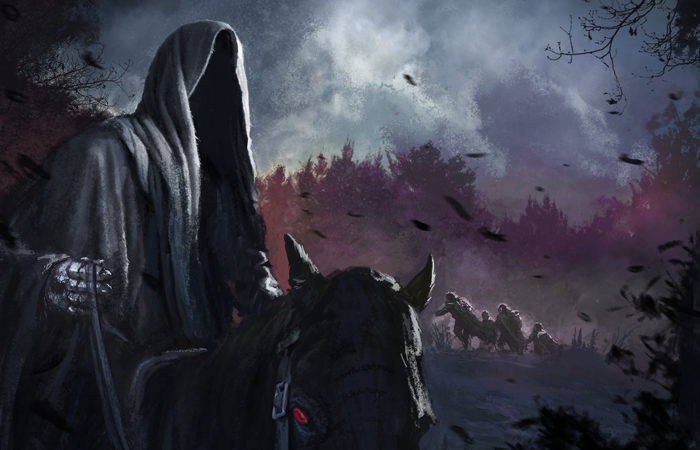 Matt Newman on "Three Is Company"
For today’s designer journal, I am issuing another designer challenge. 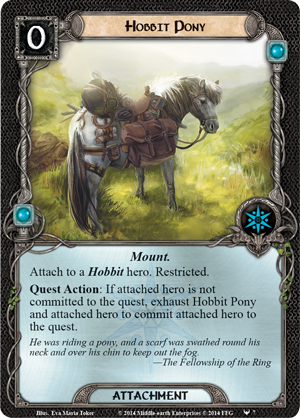 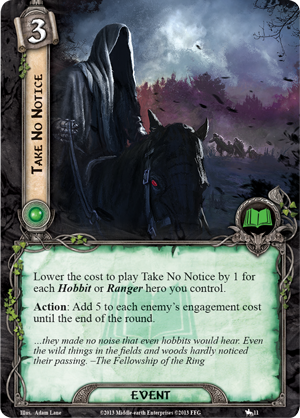 This time, the challenge is for The Lord of the Rings: The Card Game, and it takes a somewhat different spin. 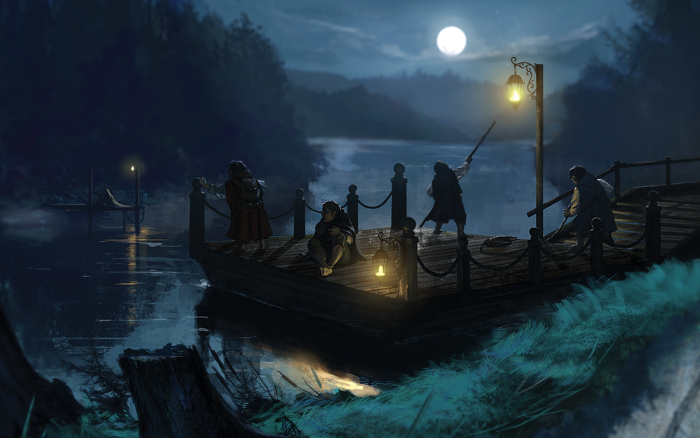 Here’s the deal: each of these designer challenges will test your skills in a different way. 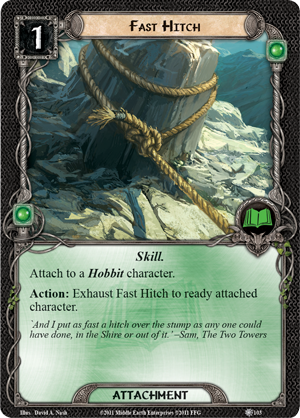 A challenge might involve an alternate way of building a deck or playing the game, or perhaps it will involve playing through a cooperative scenario with an extreme level of difficulty, or with special restrictions and limitations that force you to reconsider your approach. 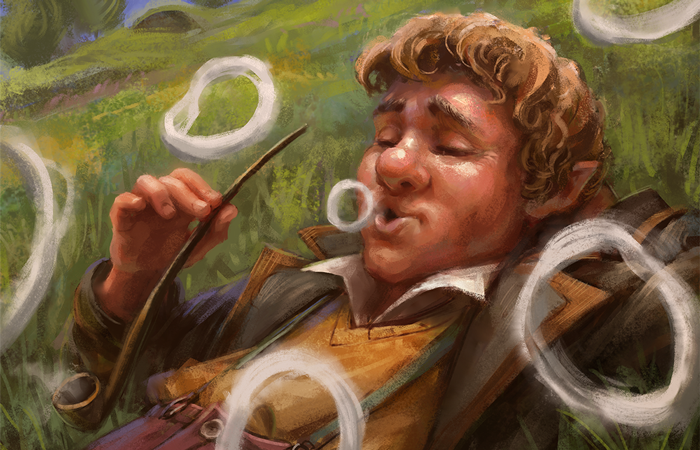 This designer challenge won't test your deckbuilding prowess, but your ability to make the most of what has been handed to you. 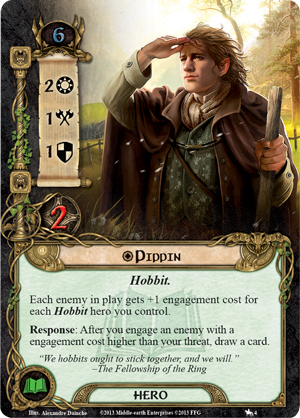 Your task is to play the very first scenario of The Lord of the Rings Saga Expansions—A Shadow of the Past—and make it out of the Shire with The One Ring in tow, but you are limited to only the tools and skills that Frodo and his companions had available to them in The Fellowship of the Ring. 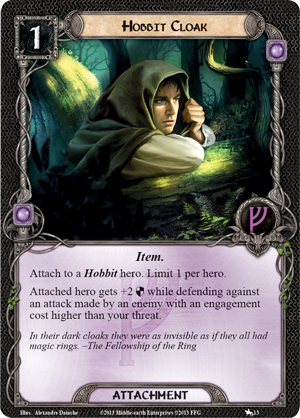 This is represented by a specific deck (presented below), the contents of which are inspired by the following chapters from The Fellowship of the Ring: The Shadow of the Past, Three is Company, and A Short Cut to Mushrooms. 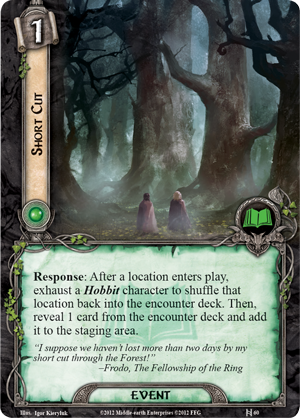 The goal is to present the players with the most thematic and accurate version of this scenario one could possibly play, and the challenge is in attempting to win this scenario with such an… interesting deck. 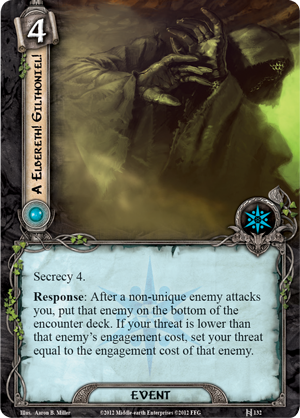 Okay, it’s not a very strong deck. 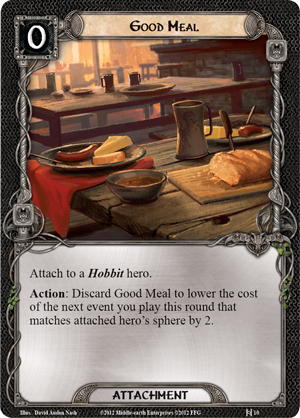 But that’s part of the fun! 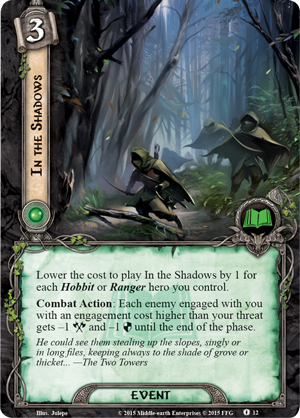 You must play the A Shadow of the Past scenario in Campaign Mode. 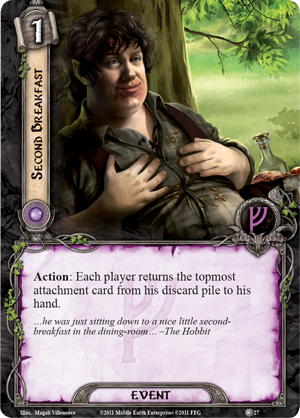 You must play as a solo player, using the deck provided below. 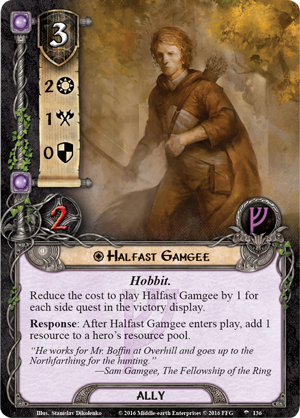 At the start of the game, set aside Merry and Fatty Bolger. 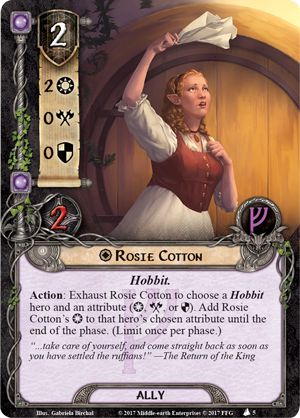 Merry and Fatty have gone ahead of the rest of the company to prepare a house for them at Crickhollow, so they are not part of your hero lineup at the start of the game. 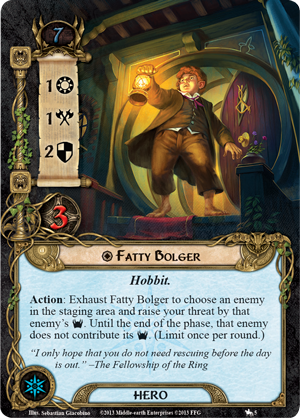 When calculating your starting threat, do not count the threat values of Merry or Fatty (your starting threat should be fourteen). 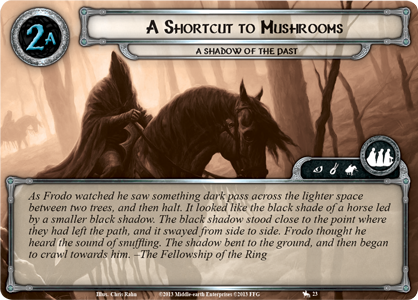 When you reveal A Shortcut to Mushrooms (Stage 2A), the heroes encounter a mysterious rider, who turns out to be Merry. 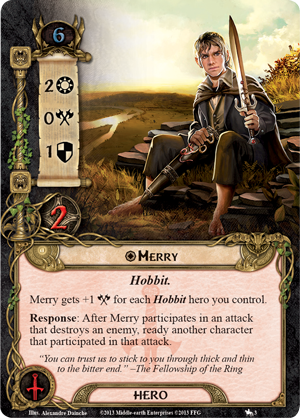 Put Merry into play, raise your threat by six, and draw three cards. 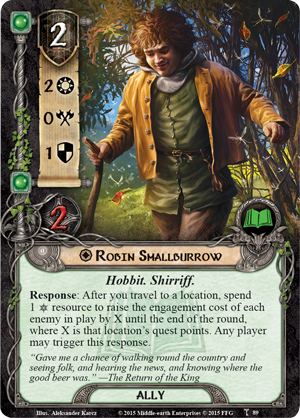 While playing this designer challenge, Frodo’s Fellowship resources provide a resource match for all spheres. 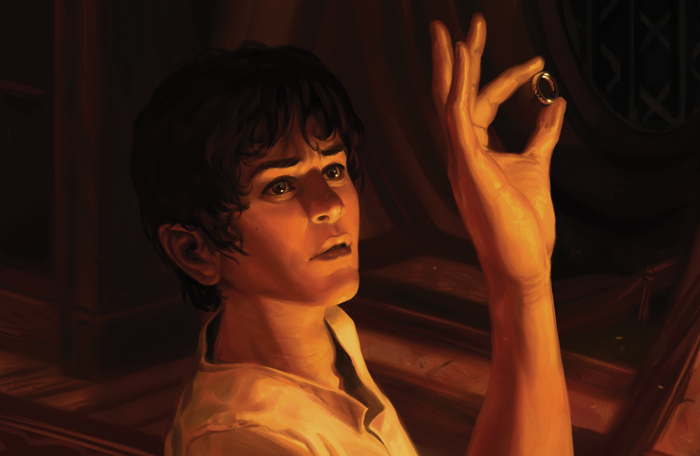 The advice of Gildor Inglorian was extremely helpful for Frodo and his companions. 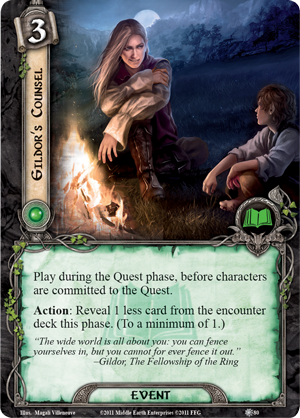 For the duration of this designer challenge, Gildor's Counsel (The Hills of Emyn Muil, 80) can reduce the number of encounter cards drawn to a minimum of zero, instead of one. 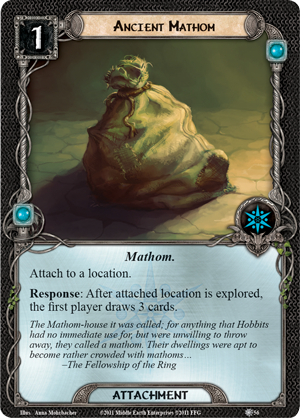 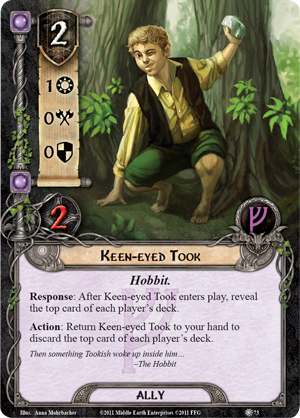 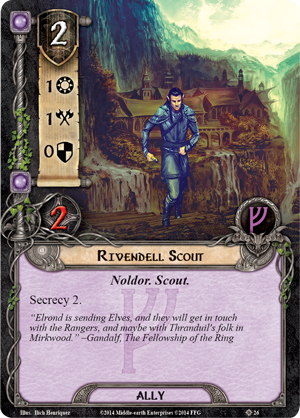 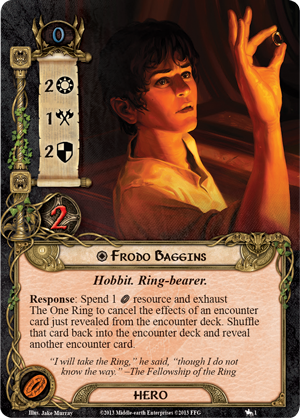 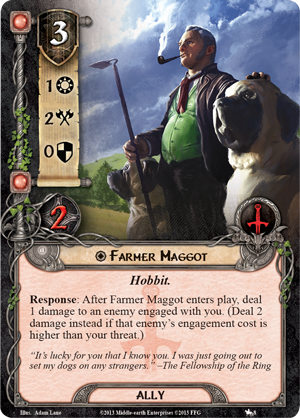 This deck contains a whopping 75 cards across all four spheres, which is why I’ve included the above rule allowing Frodo’s Fellowship resources to be spent to match any sphere. 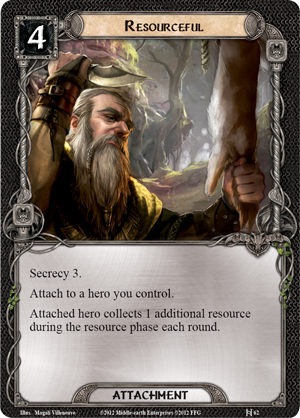 This adjustment should help you play any of the cards you draw. 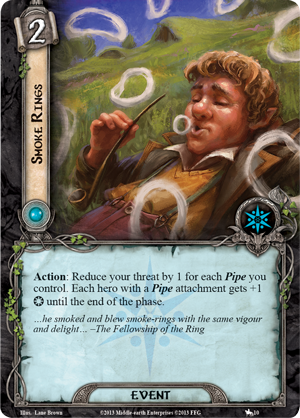 Between Hobbit Pipe, Old Toby, Ancient Mathom, and Frodo's Intuition, you should still be drawing through a large portion of your deck, despite its size. 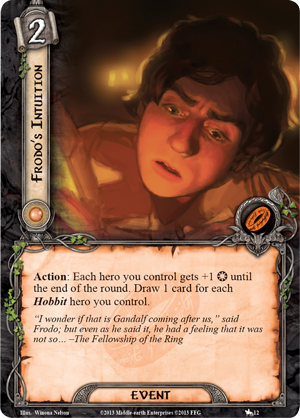 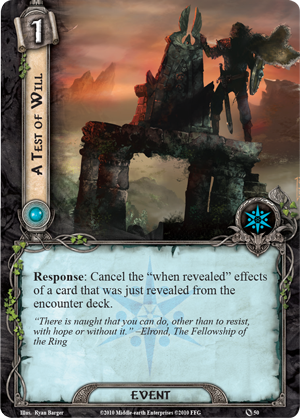 Frodo and company did not fight at all during these opening chapters, and this deck represents that weakness. 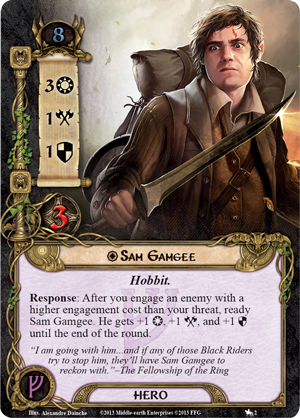 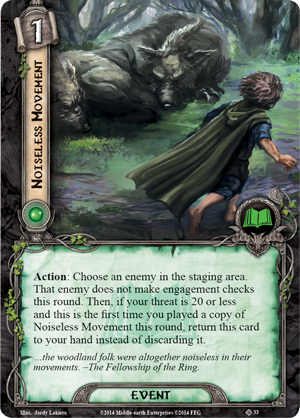 Without the Daggers of Westernesse (The Black Riders, 14), which the hobbits did not obtain until their journey through the Barrow-downs, your ability to fight will be extremely limited. 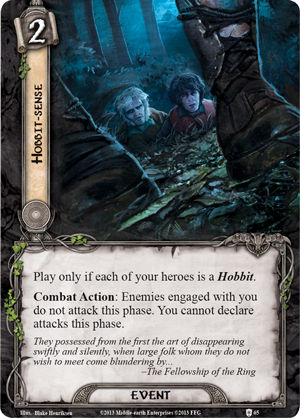 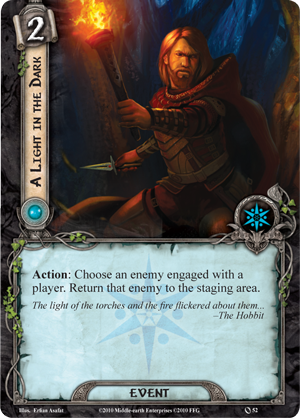 You should instead focus on stealth and questing, using Noiseless Movement and Take No Notice to avoid engaging enemies, and In the Shadows, Out of Sight, and Hobbit-sense to avoid taking damage when all else fails. 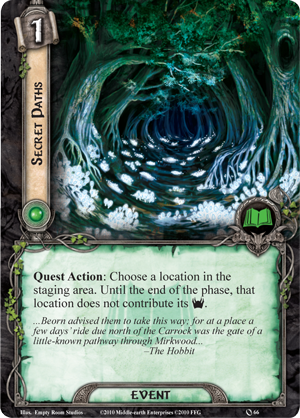 You don’t have a lot of allies, so you’ll have to use every trick up your sleeve to explore locations and make it through to Buckleberry Ferry. 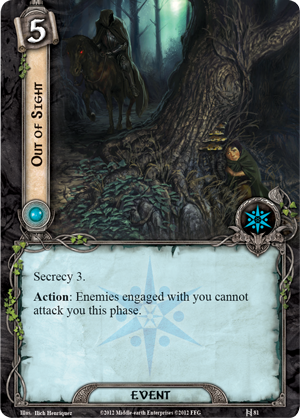 I’m not going to lie, it won’t be easy… but that’s why it’s called a “designer challenge” and not a “designer romp through the woods,” right? 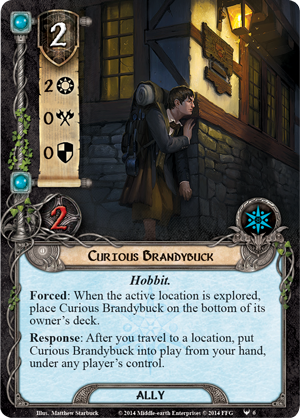 Let us know how your quest fares! 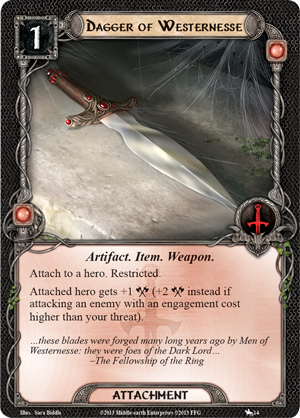 Did you make it to Crickhollow, or did you succumb to the Morgul-blade of a Black Rider? 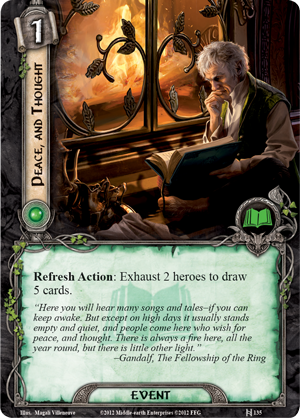 What strategies did you employ? 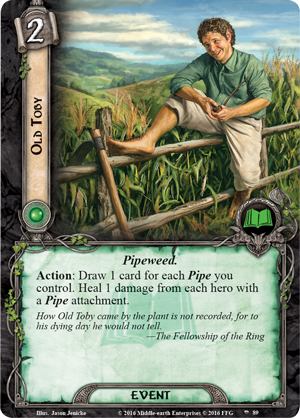 And if you enjoyed this style of designer challenge, let us know! 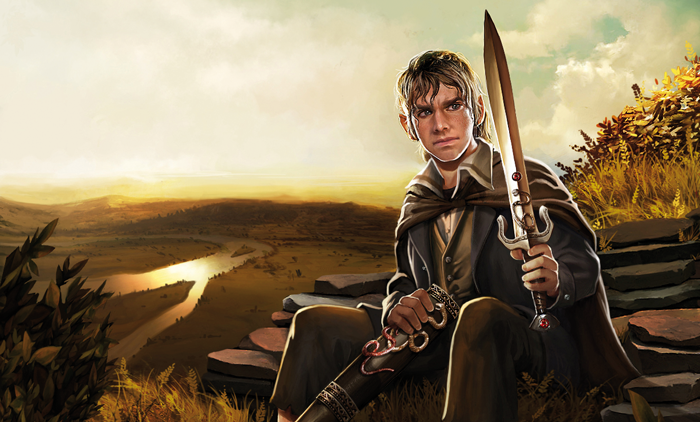 Perhaps we will continue the Saga in the future. 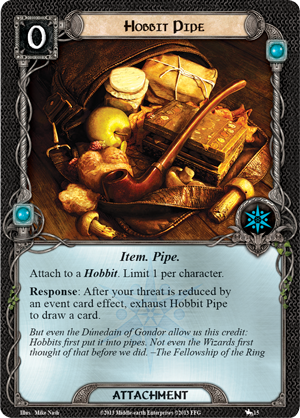 As always, good luck, and happy travels in Middle-earth!